Test which verifies the basic facilities of feConvolveMatrix. 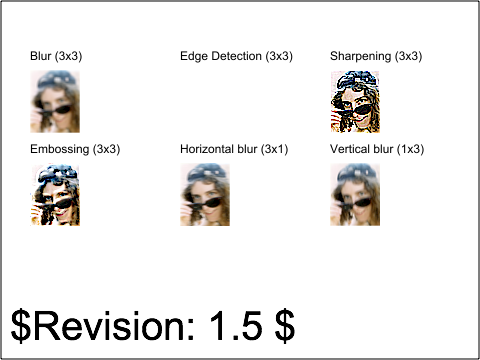 This test defines six filters that exercise traditional convolutions: uniform blur, vertical and horizontal blurs, edge detection, embossing and sharpening. 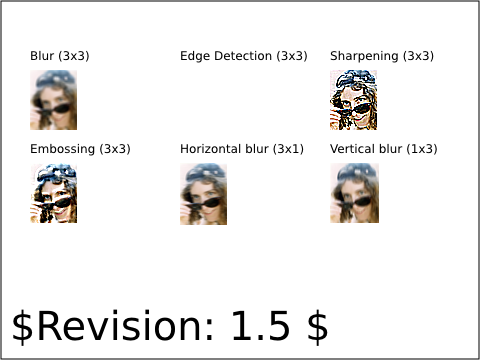 Note that the edge detection filter produces a fully transparent image because the alpha channel is convolved and produces 0 values.